Situated in Krabi, this hotel is within 1 mi (2 km) of Ao Phai Plong and Ao Nang Beach. Pai Plong Bay and Ao Nang Krabi Boxing Stadium are also within 3 mi (5 km). This hotel features a restaurant, dry cleaning, and tour/ticket assistance. WiFi in public areas is free. All 15 rooms offer free WiFi, refrigerators, and LED TVs with cable channels. Guests will also find room service, free bottled water, and showers. The hotel offers a restaurant. Public areas are equipped with complimentary wireless Internet access. For a surcharge, a roundtrip airport shuttle (available on request) is offered to guests. 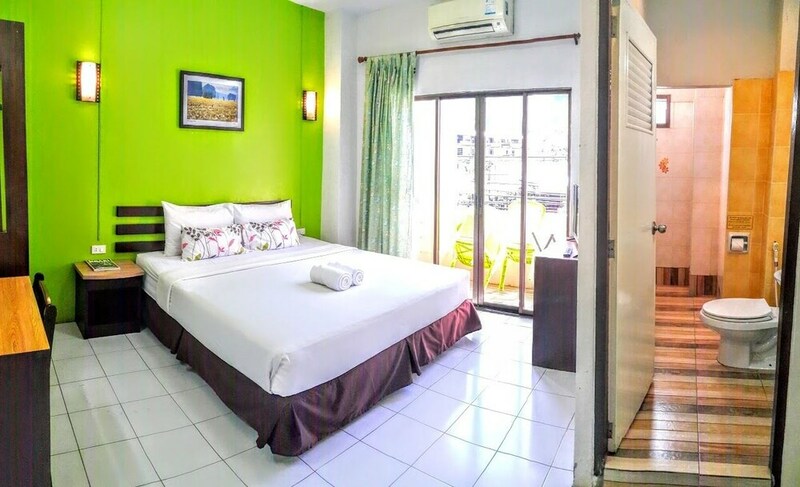 This Krabi hotel also offers tour/ticket assistance, dry cleaning/laundry services, and room service (during limited hours). K.L. House Aonang has designated areas for smoking. English breakfasts are available for a surcharge and are served each morning between 7:30 AM and 11 AM. Je Coffee Shop - This restaurant specializes in Thai cuisine and serves breakfast, lunch, and dinner. Start your morning with a English breakfast, available each day from 7:30 AM to 11 AM for a surcharge. You can order up room service during limited hours.